This entry was posted on June 26, 2012 by The Polish Monster. It was filed under Uncategorized and was tagged with duochrome, Enchanted Polish, holo, indie, Llarowe, mutlichrome, Try It On Tuesday. Her polishes are SO pretty. The only reason I have just 1 is the price… I wish I could get more, but for $15… in my head, that’s 2 other indies. It’s worth it, but I can’t justify it too often. 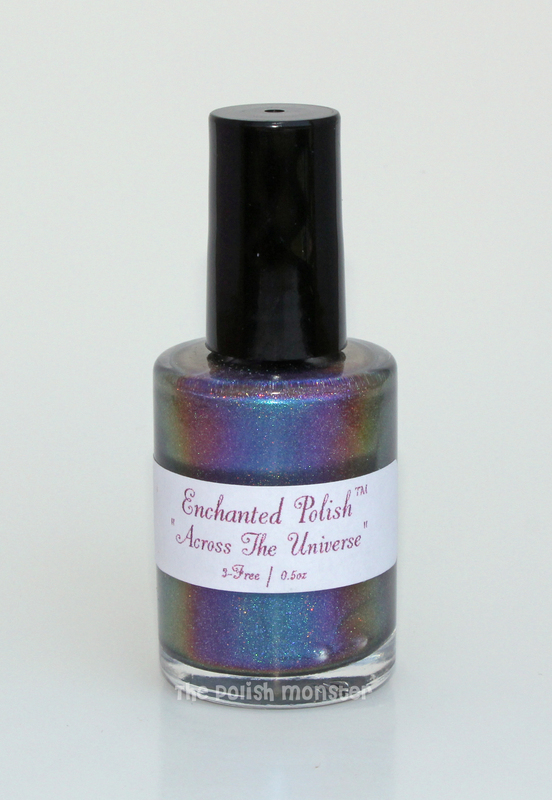 I just saw a post on Ballerina Sprinkles here: http://www.holographic-hussy.com/2012/06/enchanted-polish-big-giveaway.html – that is seriously one I’ll buy immediately. 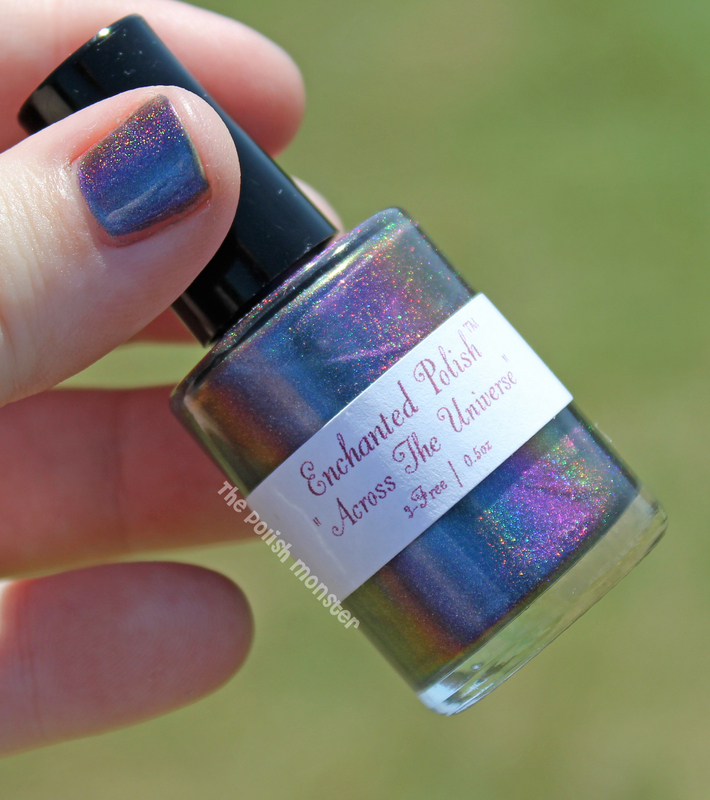 It’s not sold on Llarowe or Harlow & Co. so I don’t know if it’s a new shade or an old one… but I need it! So sparkly. I love it on you!